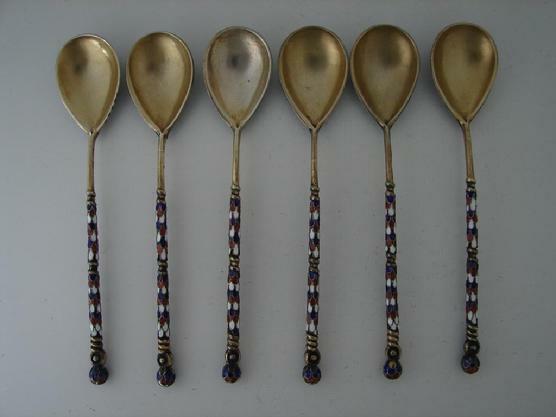 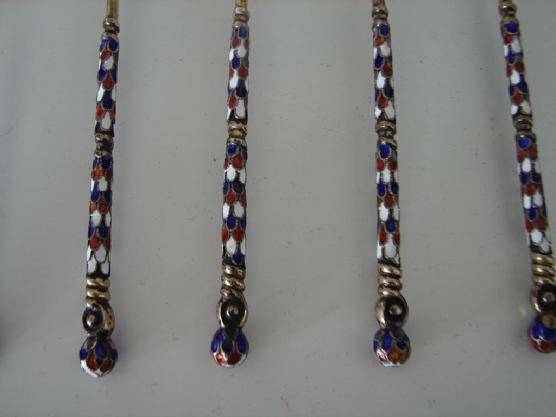 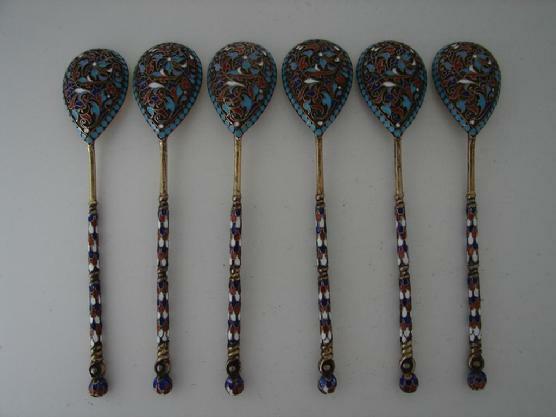 Russian,set of six gilded silver and enamel spoons, Gustav Klingert, Moscow, late 19th century. 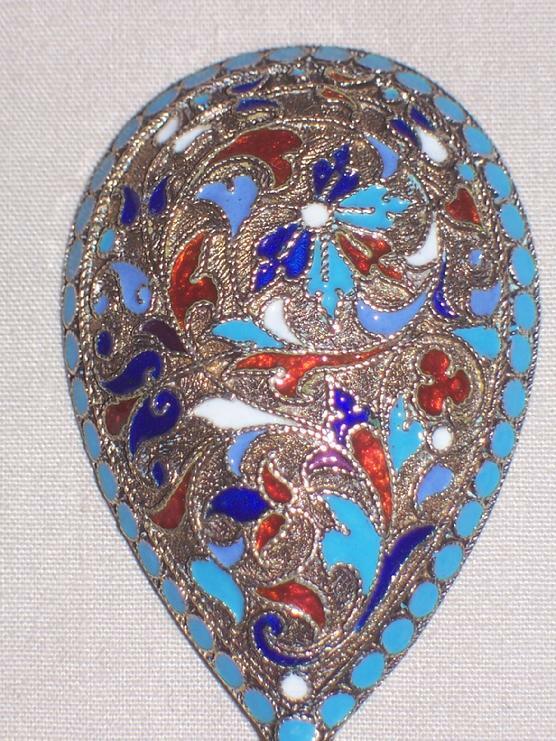 The scrolling foliate enamel design against a stippled gilded ground is surrounded by a row of turquoise enamel pellets. 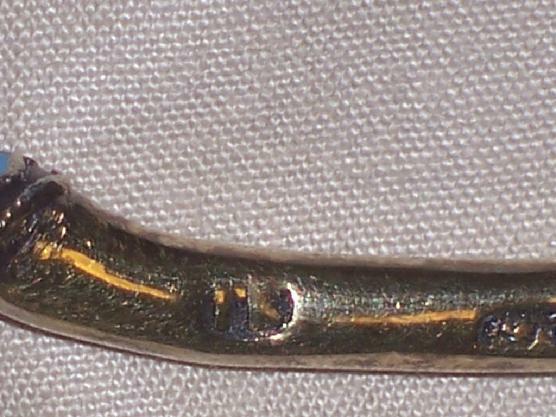 Additional enamel designs decorate the spiral twist handle. 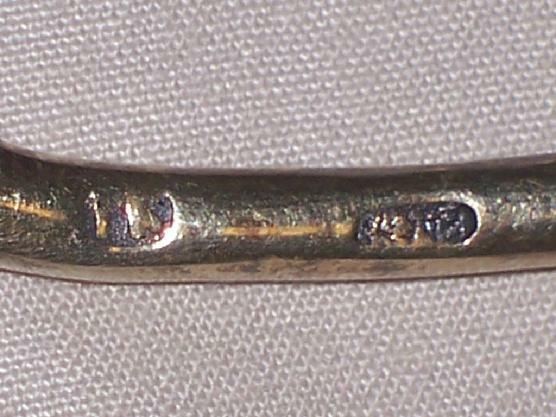 Length: 5 3/8".